supervision and guidance at all times. 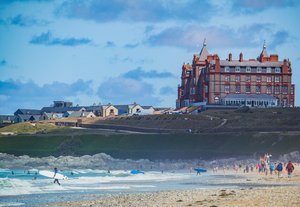 Maximise your time in the surf with progressive surf lessons at Fistral beach in Newquay. Get the most out your time in the Cornish surf with two progressive surf lessons to help boost your surf skills and maximise your time in the sea. Our Progressor surf courses are more than just a surf lesson, we aim to cover a wide range of topics to help accelerate your learning. Spread your lessons over a period of days plus enjoy free equipment hire after one of your lessons. Join a group surf lesson and learn the basics in a fun and relaxed atmosphere. Our beginner group lessons are a fantastic introduction to surfing giving you the basic skills needed to enjoy the surf safely and practise competently. You’ll receive a friendly welcome by your surf coach before jumping into one of our warm winter wetsuits and being selected a surfboard suited to your size. Make sure you bring along your swimming costume, some shoes for the beach and a towel. 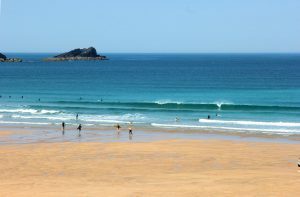 When your group is ready it’s a quick walk to either of Newquay’s beaches for the start of your introduction to surfing. By the end of your group session, you’ll know enough about the basics of surfing and hopefully riding waves to the shore. We start with surf safety, how to catch waves and some techniques on standing up. Your coach is in the water with you throughout supporting, guiding and offering top tips. 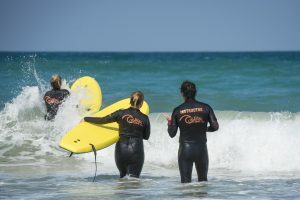 Your private surf lessons aims to capitalise on your existing skills learned in your initial lesson. Small and subtle changes to your understanding of the waves, stance, & body position can go a long way when developing a new skill, private surf coaching allows these changes to pointed out early and strengthened quicker getting you up and riding waves sooner. for longer. 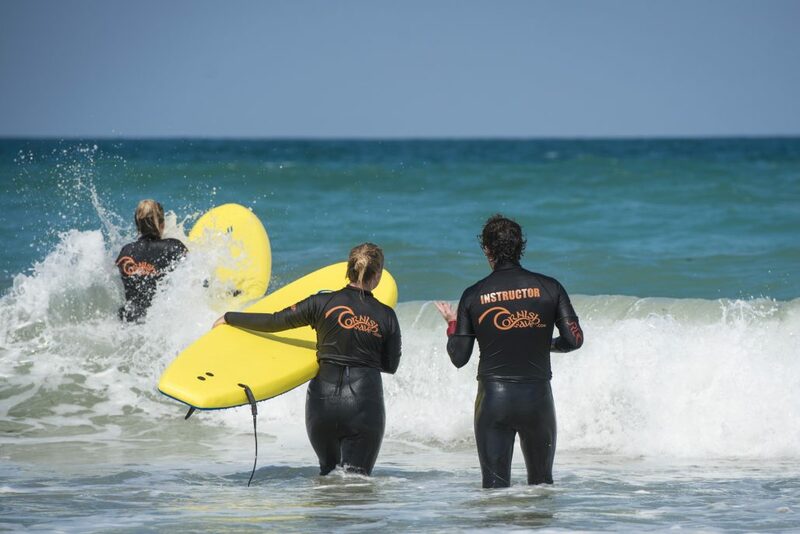 Our progressor surf course is perfect for individuals, couples or small groups of friends looking to get the most out of their surfing experience in Cornwall, Newquay. Our professionally trained and qualified surf instructors can help take your surfing skills to the next level. 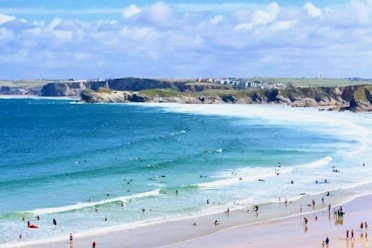 Get in touch to check our availability hello@cornishwave.com or 01637 872031 between 7am – 9pm each day. What is free half day equipment hire? As part of your package, you’re welcome to use the equipment after one of your lessons to practise what you’ve learnt. Whether that’s after your group lesson or your private lesson, you’ll be consolidating your skills. Is the equipment included as part of the lessons? 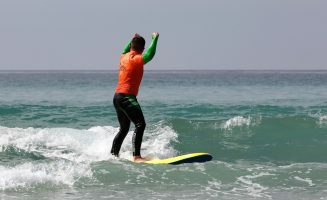 Yes, all of our surf lessons include wetsuits & surfboards suited to your ability. Is this package suited to someone who has surfed before? You’re welcome to join us even if you have surfed a little bit before. Our group lessons are a great way to refresh your existing skills. If you feel you won’t gain much from a group lesson you may wish to look at our private surf lessons.